When: Friday, January 5, 2018 to Sunday, January 7, 2018 Location: Blewett Pass non-motorized snowparks - summit of Blewett Pass, WA. Suncadia and Salmon La Sac. Lodging and dining in Cle Elum, WA. Come for a day or spend a night or two in Cle Elum. Trip Advisor lodging suggestions for Cle Elum: Best Western Snocap, Chalet Motel, Timber Lodge or Aster Inn. Iron Horse Inn B&B in South Cle Elum. Please make your own lodging reservations. Itinerary Saturday, January 6, 2018 – Activity and location will be decided based on weather and snow conditions. Snowshoeing, cross country skiing or backcountry skiing atop beautiful Blewett Pass or cross country skiing at Suncadia or Salmon la Sac! We will meet at Stella’s Café in Cle Elum (316 W 1st St) at 8:45 am. Sunday, January 7, 2018 – Activity and location will be decided based on weather and snow conditions. Snowshoeing, cross country skiing or backcountry skiing atop beautiful Blewett Pass or cross country skiing at Suncadia or Salmon la Sac! We will meet at Stella’s Café in Cle Elum (316 W 1st St) at 8:45 am. We will do group happy hours and dinners in Cle Elum/Roslyn on Friday and Saturday nights. Equipment: There are no facilities atop Blewett Pass. Be sure that you bring appropriate clothing, food, water and gear for a winter day out in the high country. Sno Park passes required for Salmon La Sac and some of the trailheads up at Blewett Pass. 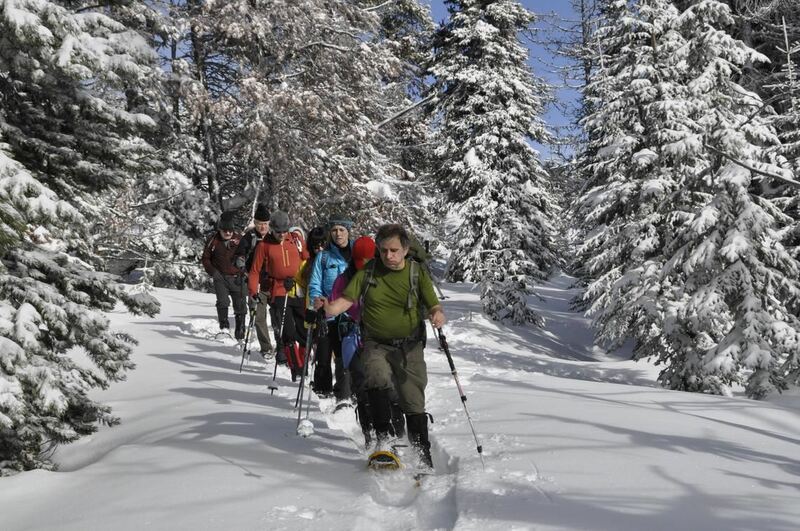 Suncadia has cross country ski and snowshoe rentals. Trail passes at Suncadia are free. Please tell Craig Mabie what days you will be joining in– craigdoug15@msn.com, 206-462-9315.